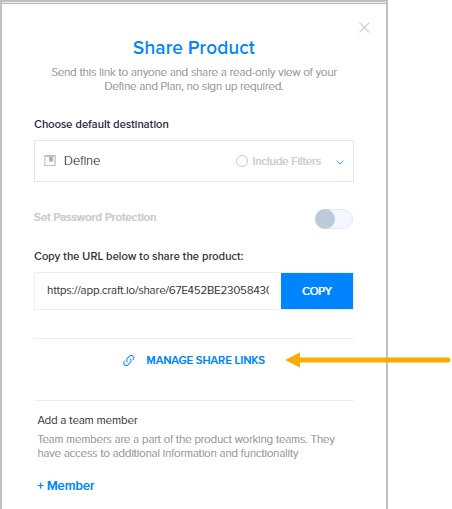 You can manage any shared link you've created to one of your product sections. by viewing the product sharing history and revoking access to a shared product. 1. Press the Share tab, located on the Craft toolbar, and select Share. 2. 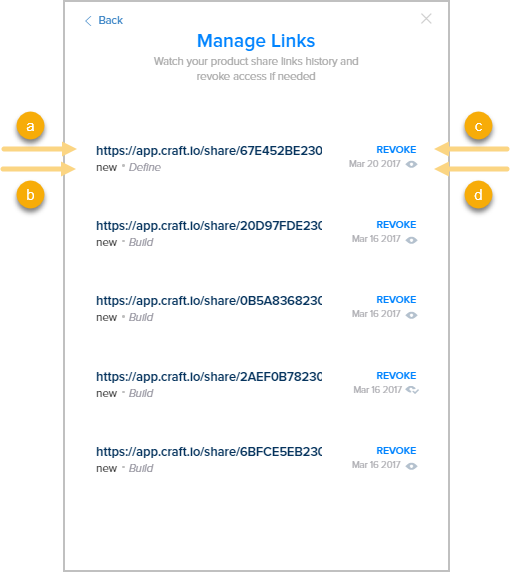 Click Manage Share Links. c. The Revoke button. Clicking the button will cancel the access to the link and will remove the link from the list. d. Displays the date the product was shared and as well as an indication whether the link was used.